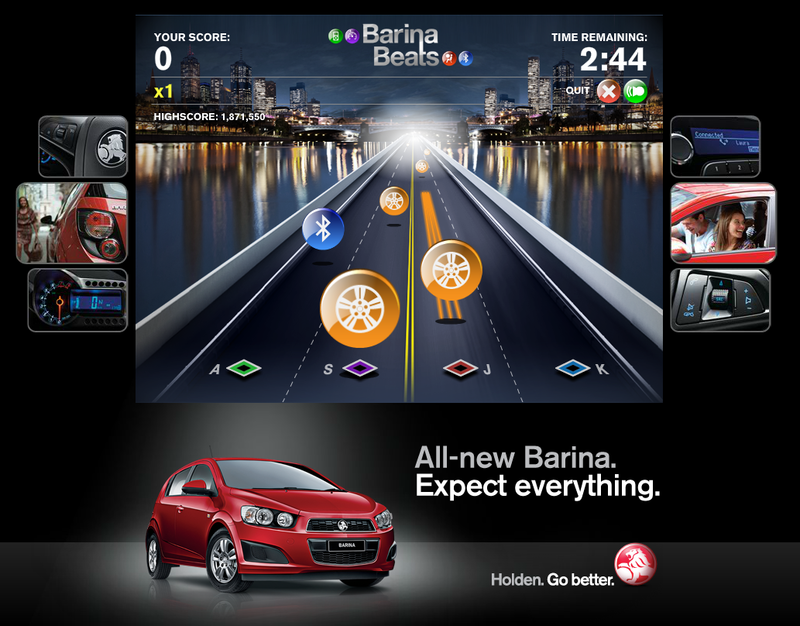 It was created as a Facebook application to tap into the popularity of the growing social gaming market and to promote the features of the all-new Holden Barina. 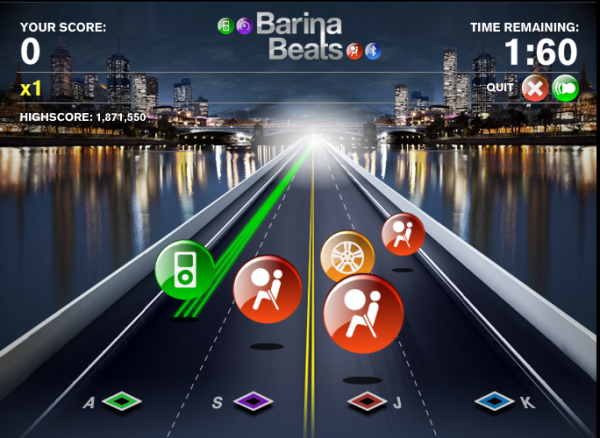 The game features music and sound effects from the radio adverts and TVC. The “Sustain” bonus points element of the game doesn’t work for me. I’m on a Windows 7 64 bit system so I’m unsure if its just the 64bit version of flash or something, but bonus points aren’t added when the “Sustain” bonus icons appear. It says you get 100 points for every half second the comet tail appears in the target zone but I get 0 when I hit them and hold the key. There are very specific rules on the sustains, you have to actually lift your key off before the end of the sustain or you’ll get zero points. Was a requirement of the original game specification but I think it leads to a little confusion. I’ll suggest the change if we get to update the game. 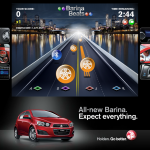 The games are generated by an algorithm that was part of the brief provided to us. This would affect the scores that are possible. We’re not involved in the actual competition, so you’ll have to contact the organisers if you have any feedback like this sorry.